Our experienced staff provides a clean and safe home environment where children Learn through Play. 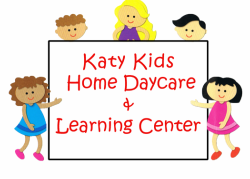 The home daycare includes an indoor and outdoor play area where children are provided with well balanced and healthy meals. Our affordable facility is easily accessible from I 10 and The Grand Parkway Toll (99).